There are so many benefits of learning guitar for children from improving their attention spans, memory, coordination and motor skills to making friends, learning a new skill and potentially lifelong hobby that can also unlock their learning in other areas. It’s no surprise that parents want to find great guitar lessons for their children. 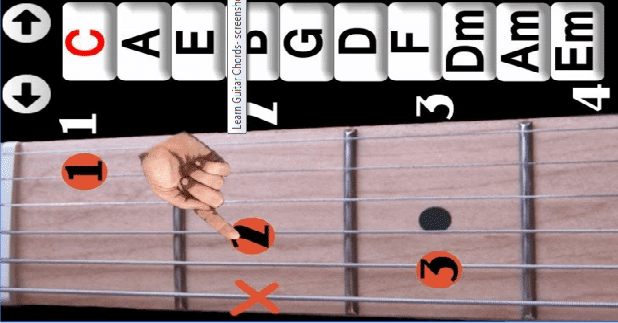 So, if you’ve ever though about guitar lessons for your little ones. I’ve written this article for you. 1. 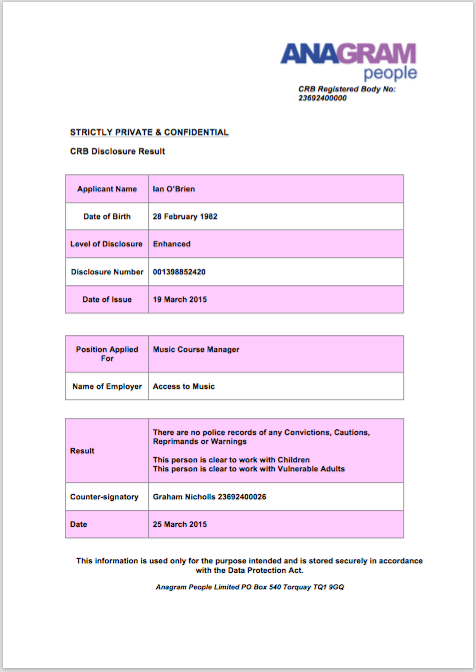 How Can I Know My Child Will Be Safe? I’ve not actually been asked this, but it’s obviously an important question! I’d also recommend asking them if you’re able to sit in on the lessons in the beginning and be put you in touch with parents of previous young students for a quick chat. 2. What Will My Child Learn In Their Guitar Lessons? This depends on the teacher. Hopefully a lot! In my children’s lessons in Dublin. I focus on having fun and kindling a love of music and guitar by introducing the children to different age appropriate songs and melodies. 3. Will My Child Need Their Own Guitar? To practice at home and improve their playing ultimately your child will need to have their own guitar. The best guitar for a beginner child 6 – 10 years old would be a nylon strung 3/4 size acoustic guitar as they are easier on little fingers and require less strength to get clear sounding musical notes. They also an ideal size to hold and play comfortably at this age. A full size nylon strung acoustic guitar would be suitable for children 11 years and older to begin playing guitar. 4. What Is A Good Age To Begin Guitar Lessons? The youngest students I’ve taught were 6 years old when they started like Otto Jolly (Adrienne’s son). He’s now 13 years old and a great guitar player. I’d recommend lessons for any 6 year old who is curious to try it out. A child’s attention span for one activity is usually their age in minutes plus 1. So, it’s more important that the lesson structure and pacing is child friendly and age appropriate. I keep children’s the lessons light and fun, changing activities frequently to break up the on guitar time with rhythm games, clapping, listening and other activities to develop their musicality. 35 minutes used well and kept fresh is a good amount of time for children from 6 to 10 years old to learn a lot. I teach all ages and have separate classes for children, teens and adults too. Children between 6 and 10 will be in their own age appropriate class. So if you have older children too or you’d like to learn yourself you’re all welcome to book a place and learn to play guitar. 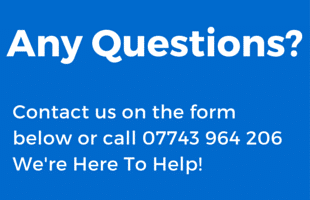 Yes – I want to know more! While I started playing guitar at 15 (before moving to Dublin), many of the players I know started when they were in their 40’s or 50’s and they do an amazing job. Maybe when they were younger it just wasn’t the right time, they might have been busy with other areas of their live. If you’re in your 40’s or 50’s yourself, you might be thinking: ‘I’m probably to old to learn.’ So, I wrote this article for you. To let you know that you absolutely can learn to play guitar now and in fact, it’s a great time for you to learn to play. …And what you don’t. For youngsters learning to play guitar is a lot about exploring to discovering what music excites them and what doesn’t out of everything that’s coming at them. When you’re young choosing the right road can be confusing. But as an adult guitar learner you’ve already straightened that stuff out. You know the music that you’re into and what you’d love to be able to play on guitar. 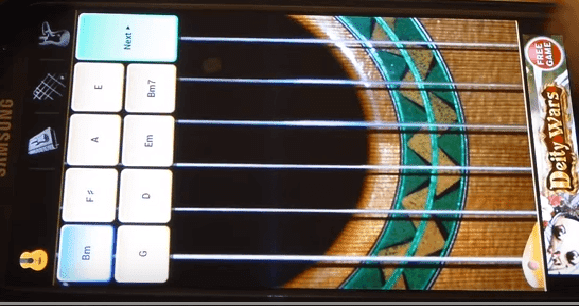 Maybe you even have a song in mind now, that you can imagine yourself strumming away too? Let’s face it. Kids can be all over the place. You might let the dirty plates pile up once in a while but you’ve managed to accomplish a lot already, things like getting qualified, holding down a decent job, raising a kid or maintaining a home you’ve already proven that you certainly have the discipline to learn guitar. It’s just a matter of putting your mind to it, especially if you’ve always wanted to do it. The most common theme that I hear from the adults who say they want to learn guitar but never do boils down to them not really believing that they can do it. But look around at the things that you’ve accomplished in other areas of your life and you’ll see that it’s really not true! If you really want to learn to play guitar and you can spare just 10 minutes a day, then you absolutely can! If you’re over 40 and learning guitar for the first time you’ve probably not convinced that you’re going to be the next Jimi Hendrix. While you can certainly go on to become a professional musician you don’t need to have been born with supernatural musical talent to play guitar to a respectable level in a short time. As an older player, you can skip all the ‘making it,’ rockstar nonsense and just enjoy playing and learning a new hobby that you’ll love for the pure satisfaction of it. Everyone is stressed these days. I know I am. When I have 20 minutes to pick up my guitar it is just as good as 20 minutes in a hot tub. Playing music does amazing things for your brain, body and soul. As an adult, approaching guitar as a life-affirming recreational activity rather than some kind of mountain to conquer can make you more likely to practice and will also improve the quality of your practice sessions. You’ll find it much easier to learn guitar once you realise how much it does for your mood and stress levels. When you’ve had a tough day, you’ll always have the guitar to strum, chill out with and get you through it. 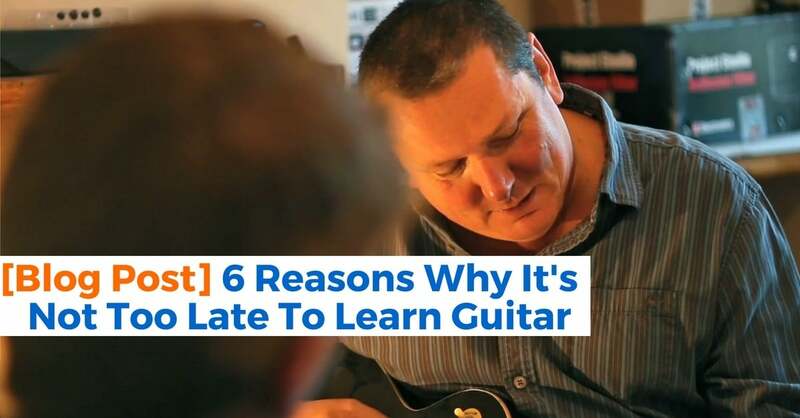 It doesn’t take how long most people assume to learn to play guitar. I’m not talking about practicing hours a day. With just 10 minutes practice a day you can be playing your first complete songs on guitar within two months. It can even be faster if you don’t worry about extra stuff like learning lots of scales or reading sheet music and just kick back and enjoy practicing and playing songs on your guitar. 6. You’re Now More Capable Than Ever Before! 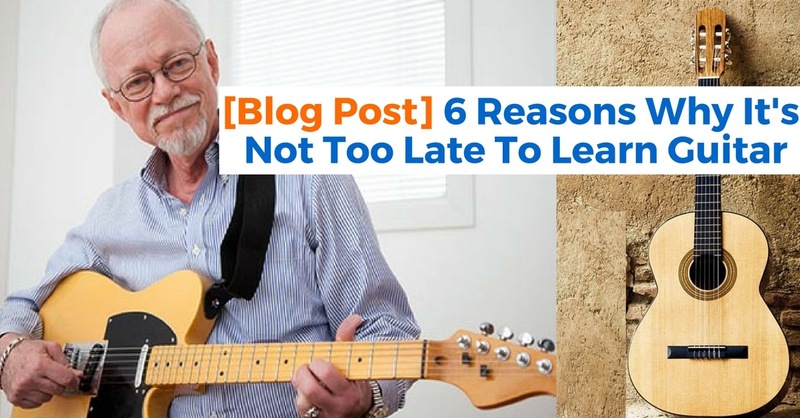 So here it is, the best reason you are never too old to learn to play guitar.You are more capable right now than you have been at any other period in your life! You have more experience, more knowledge and more wisdom than you did when you were a kid. You know who you are and what you want. You’ve achieved so much in your life, and have been through a lot. If learning guitar is on your bucket list, do it now, because you are more prepared for the challenge now than at any other point in your life. I started playing guitar when I was 15 years old. It was one of the best decisions I’ve ever made, and I’ve never regretted it. Over the years I’ve known many adults who said they wanted to learn, and I’ve always done my best to encourage them. I can’t imagine my life without the guitar, and I want them to have the same joy as I’ve been lucky enough to experience. 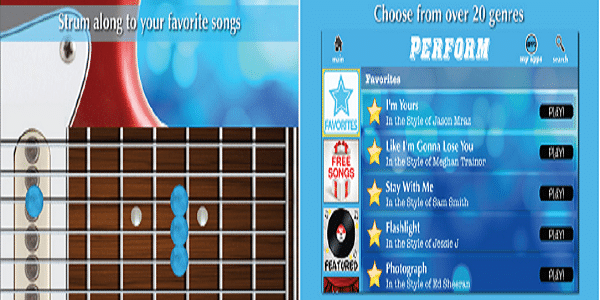 This app complements The Metropolitan Museum of Art’s special exhibition Guitar Heroes: Legendary Craftsmen from Italy to New York. 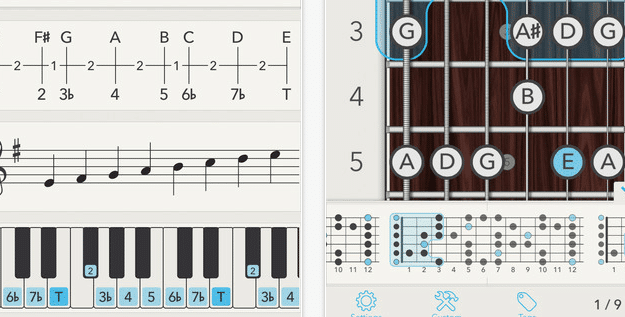 Through collaborations with musicians and experts, the app brings to life the guitar makers’ creative process and celebrates the enduring relevance of these instruments. It features museum-commissioned musical performances expressly designed for this exhibition, artist interviews, and rarely seen archival video footage. The app may be used either as a guide to the exhibition or on its own, and once it is downloaded, no Internet connectivity is required to access its content. 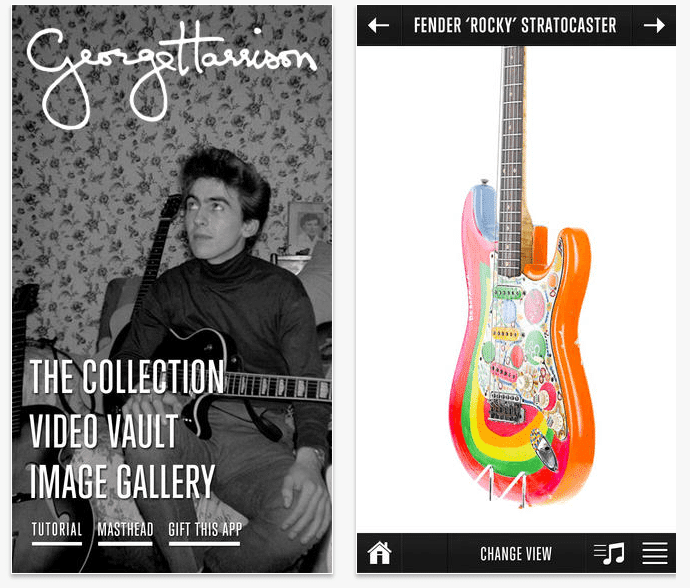 The Guitar Collection: George Harrison is a ipad app that offers an up-close-and-personal, interactive look at Harrison’s most historic guitars. 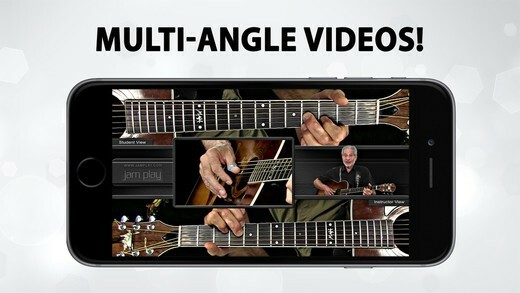 Through 360-degree imaging, rare audio and archival photography, this app highlights the sound and look of each classic guitar – instruments that should be familiar to millions of Beatles fans, such as Harrison’s Gretsch Duo Jet, his Fender ‘Rocky’ Stratocaster, the Rickenbacker 360/12 heard on A Hard Day’s Night and more. 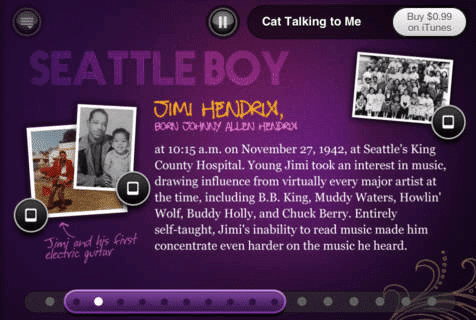 Jimi Hendrix – The Complete Experience let’s you explore interactive chapters of Jimi’s legacy through text, images and video. You can flip through the full collection of Hendrix’s albums, read about documentaries, live performances and other films about Hendrix with the option to download them directly from iTunes. 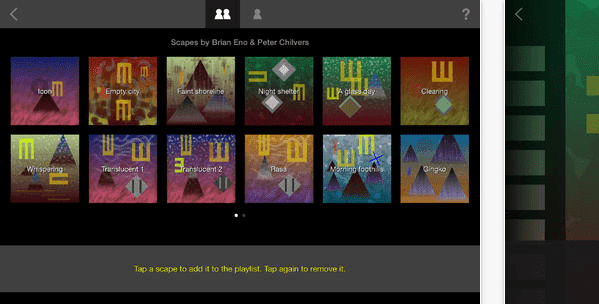 Scape is an app that professes to create music that thinks for itself. 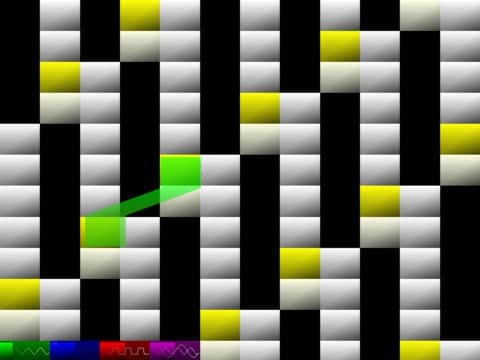 It offers users deep access to its musical elements and those elements react to each other, changing mood together, while making new sonic spaces. Plug your guitar in with Peavey’s AmpKit LiNK adaptor and AmpKit+ will replicate the sound of four different amps — the Peavey ValveKing, Peavey 3120 as well as vintage “British” and “Colonel” amps. It also replicates the effects of 10 effects pedals, plus mic and cabinet options for the amps. 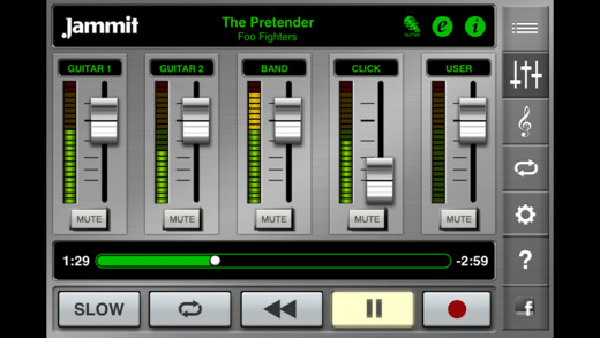 In-app upgrades include more options, such as the Peavey 6505+, although the free version of AmpKit offers the ValveKing and a pared-down selection of effects. 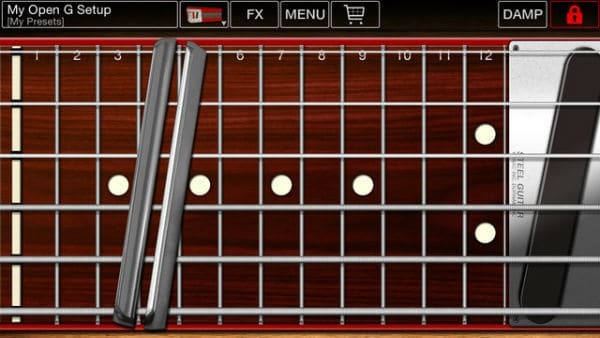 If you play guitar and you don’t have this app, you are missing out! So simple to use, no need to carry tons of equipment such as cables and pedals, this thing is amazing! The only think I can ask for is an interface where you can easily interchange set ups for real time jamming! 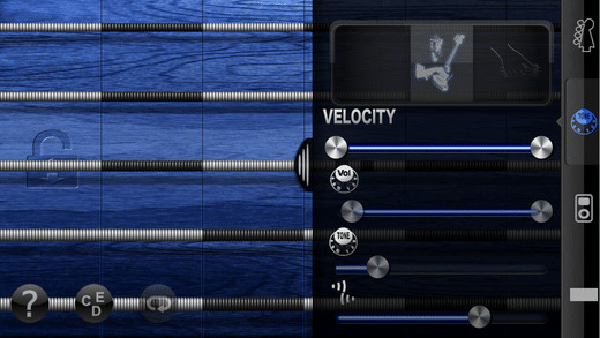 With the full version of Amplitude you can mix and match from 11 effects pedals, five amps, five cabs and two mics and in the free edition of the app a more basic rig. 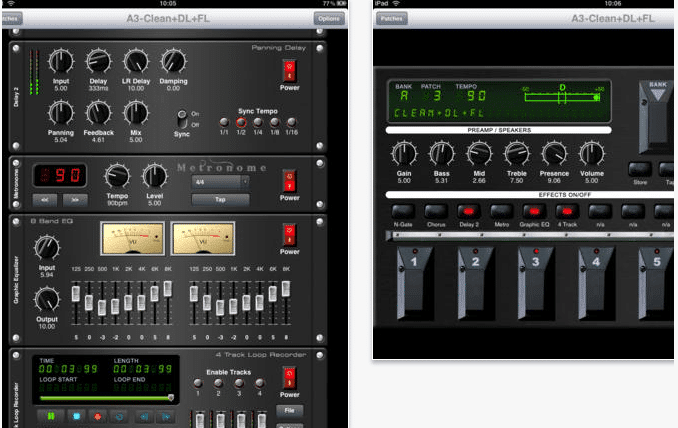 In-app upgrades also include a handy four-track recorder and a few more effects for writing on the go. Also available are branded versions of AmpliTube that offer the unique sounds of Slash, Jimi Hendrix and Fender amps. A great collection of amps and effects. A bit pricey perhaps but still cool to have such a compact tone rig in your pocket. Although it might not sound exactly like the original amps it also only cost a small fraction of the costs of owning all those expensive amps. 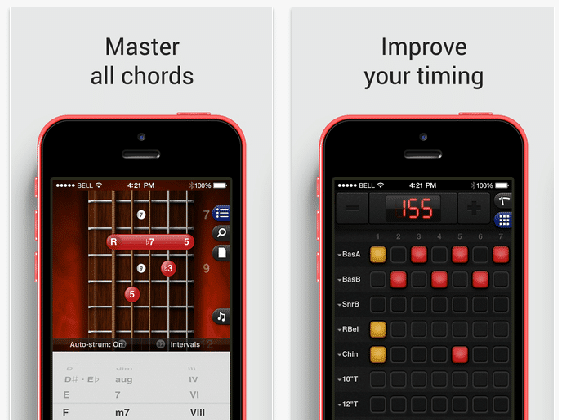 Still a highly recommended app for iOS guitar or bass players. 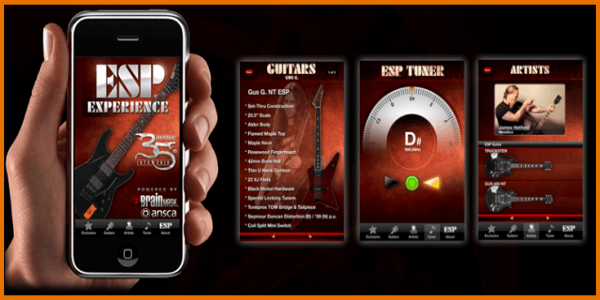 This virtual amp and effects simulator contains over 100 amps, stompboxes and other effects plus through in-app purchases, you can add up to 36 amp simulations, 30 different stomp box effects, and an 8-track recorder. 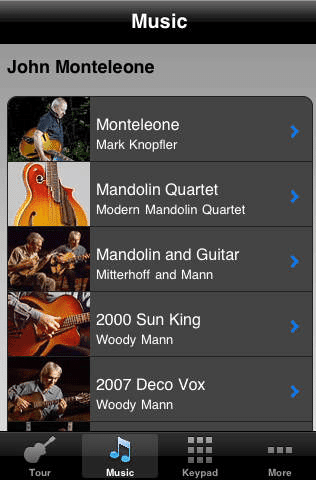 There is a built-in tuner, a metronome, and iTunes playback from your device’s music library. 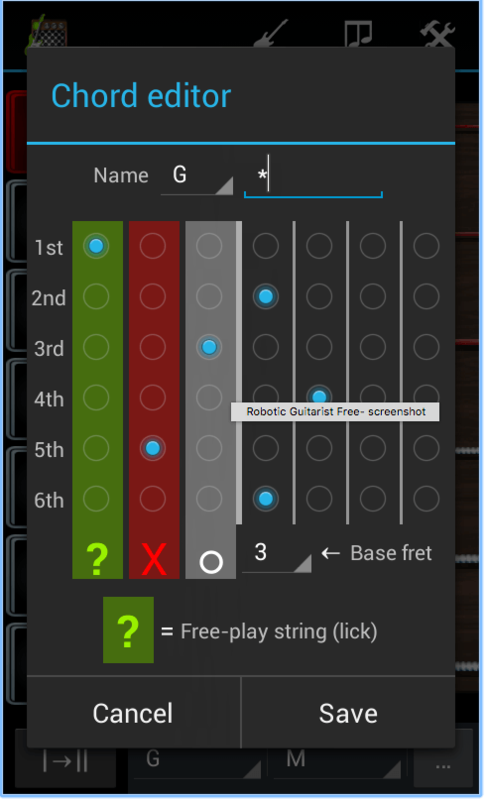 It is also Audiobus compatible so you can add your JamUp Pro guitar licks to Loopy, or some other sampling app. Finally I found this amp way better than amplitube and agile when it comes to presets and sound quality! 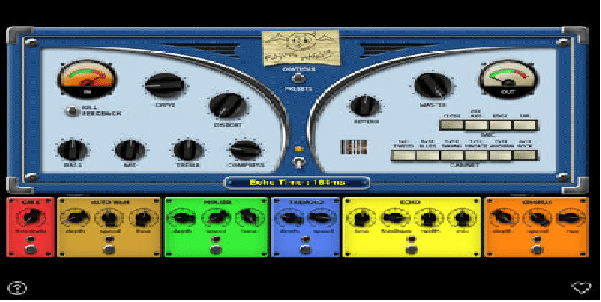 Flying Haggis is a virtual amp that aims for great old school tone and includes a selection of vintage FX. Plus, the digital interface is direct, simple and easy to use. 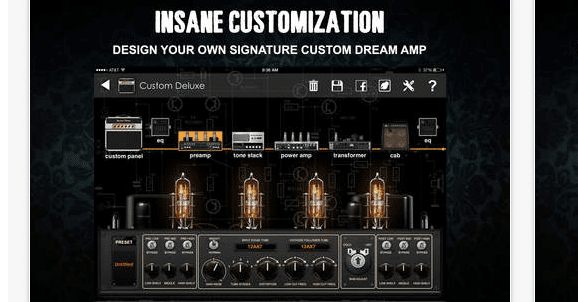 I’ve tried many guitar amp sims, many of them good, some of them dunning you for in app purchases. 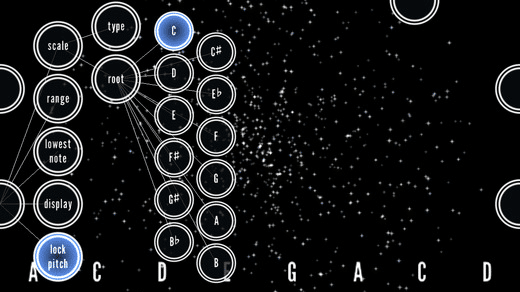 This is the most accessible, the most useful and musical that I have found by far. Thanks, Haggis. 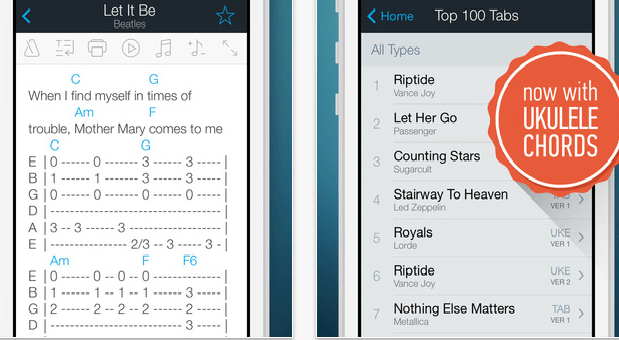 BIAS amp is an amp designer, modeler and processor for iPad. It features 36 amp models and organises them by music genre and sonic impact: clean, blues, twang, crunch, metal, acoustic and bass. It also has customisable preamps, tone stacks, power amps, transformers, cabinets, mic selection and placements. BIAS amp! also includes a noise gate and room simulator reverb and you can save and recall 8 of your favourite settings in turn with just one tap of the screen. 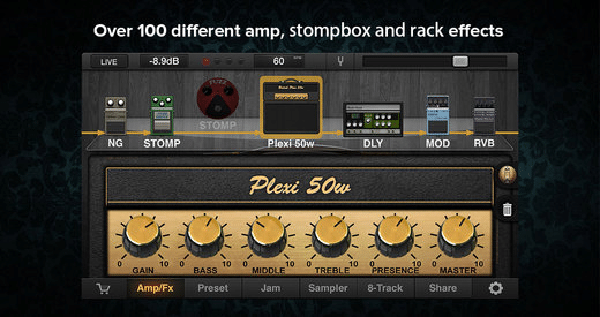 BIAS amp can also integrate with JamUp XT, JamUp Pro XT and GarageBand via Inter-App Audio and Audiobus. I’ve tried Amplitude and Tone Stack, and those amp sims sound good respectively, but they don’t compare to the harmonic warmth, tube-like feel and versatility of Bias FX. I really like the way it almost feels like a real tube amp, they nailed it! 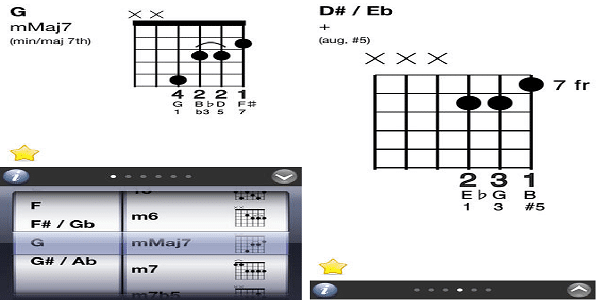 This app is used for configuring the DigiTech iStomp guitar pedal. Connect the pedal to your device using the DigiTech Smart Cable and you’re ready to go. 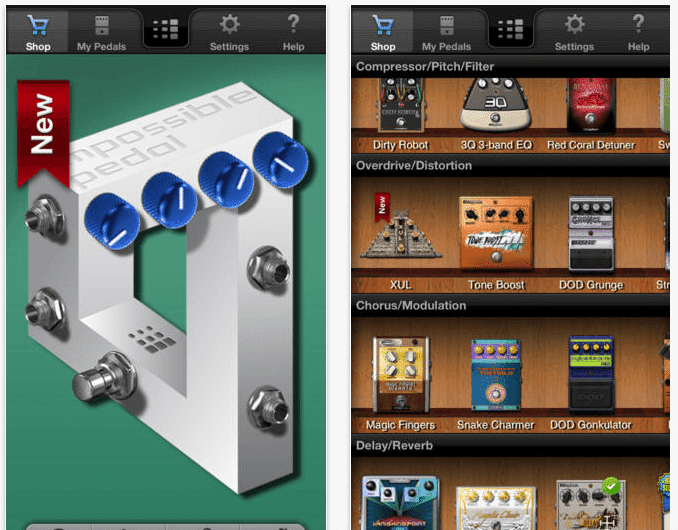 You can configure your iStomp pedal with a variety of e-pedals using the Stomp Shop app then when you disconnect the Smart Cable you can use your iStomp just like you would any traditional pedal. When my synth player introduced and coaxed me into the IStomp, i was hooked and had a lot of fun trying out pedals, all you need is the cable and transfer and test it out and you are good to go. The impossible pedal is one of my favorites, it’s just insane to play with during a gig leaving people wondering “how i played something like that”. 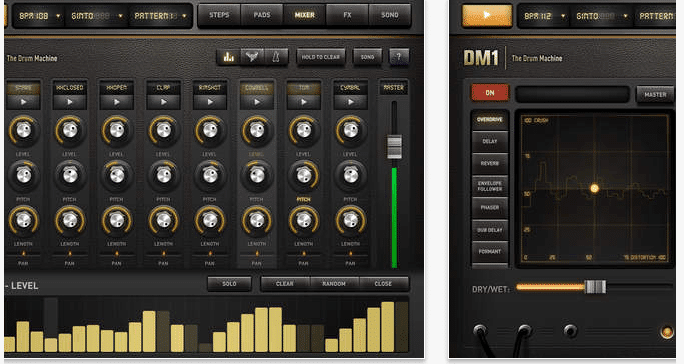 Using StompBox you can turn your iPad into a Multi FX Processor. 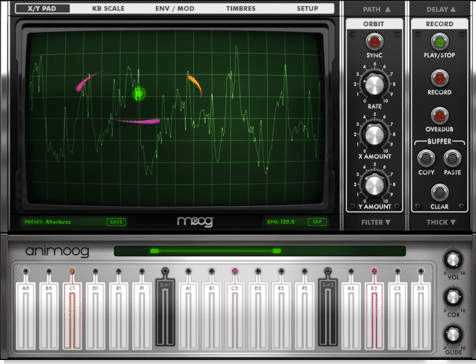 It features 17 effects as well as a 4-Track Recorder and Media Player. 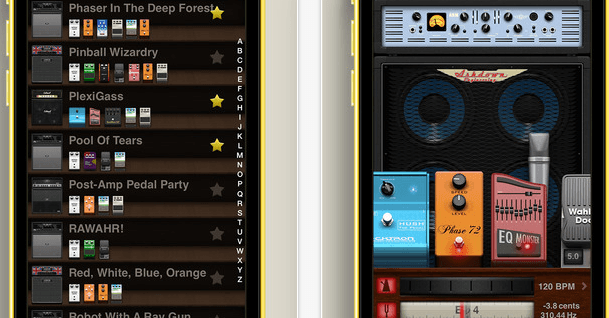 StompBox supports both AudioBus plus Apple’s Inter-App Audio. With StompBox you get a rack of stereo effects and a foot controller to access a tuner and all your patches. This app is awesome, it has constantly improved as long as I’ve owned it. The sounds are as good as they come on an iPad or even a desktop setup. This really is a powerful and fully featured program. 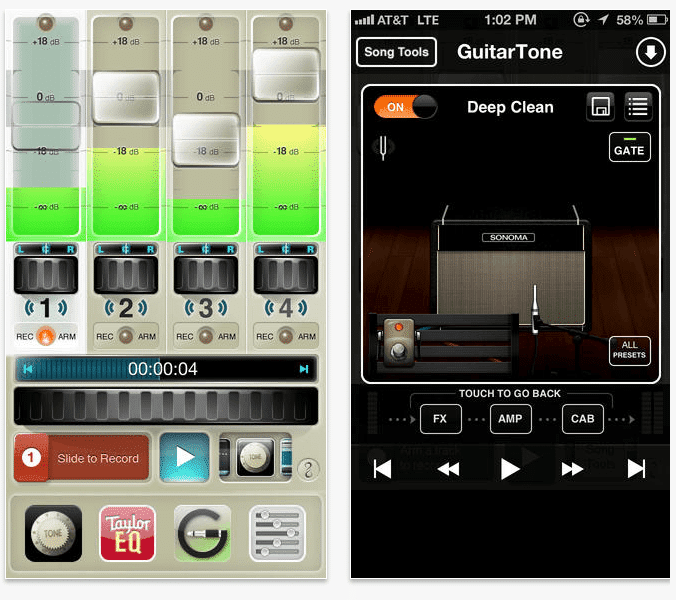 It turns your iPad, iPhone, iPod (or Mac) into a mini recording studio complete with it’s own a collection of instruments. 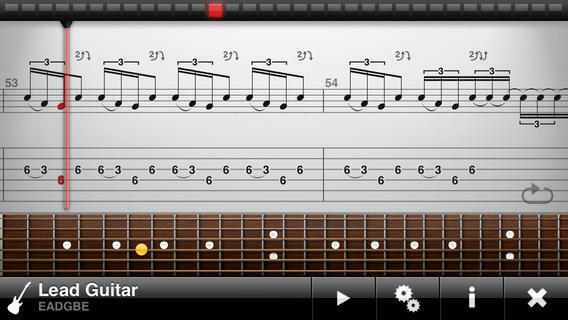 This app also makes it easy for you to plug an electric guitar in and play through classic amps and stompbox effects. 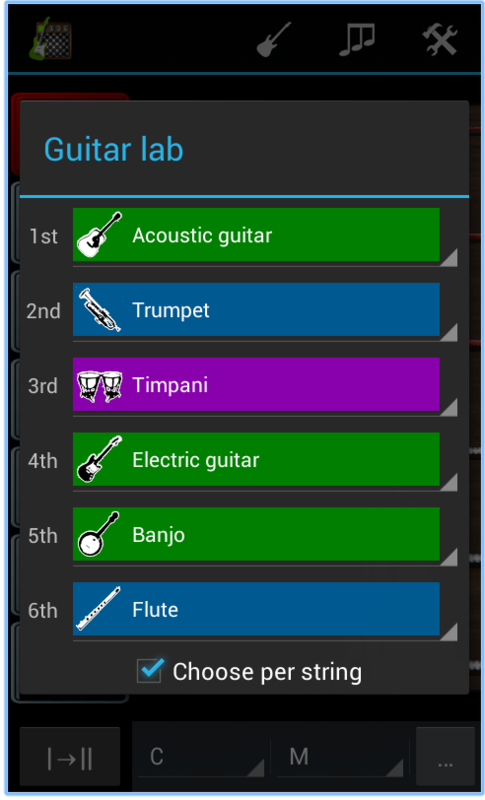 You can build backing tracks with a variety of separate instruments and jam over them or record your own guitar parts and songs. 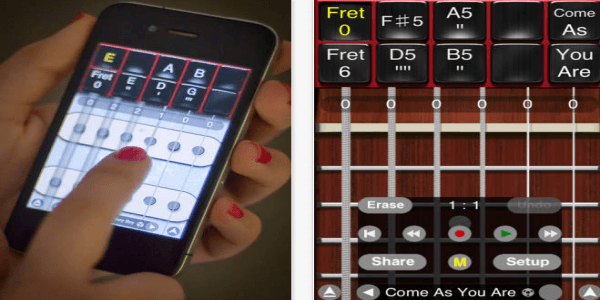 FourTrack is a multitrack audio recorder and a handy songwriting and practice tool for guitar players, and others that will let you capture your riffs, licks, songs and musical ideas on iPhone and iPod touch wherever you are. Record with FourTrack in 3 steps: Arm, Record, Repeat. This app is very good due to its size and its simplicity. Couldn’t find a better one myself. Great work! 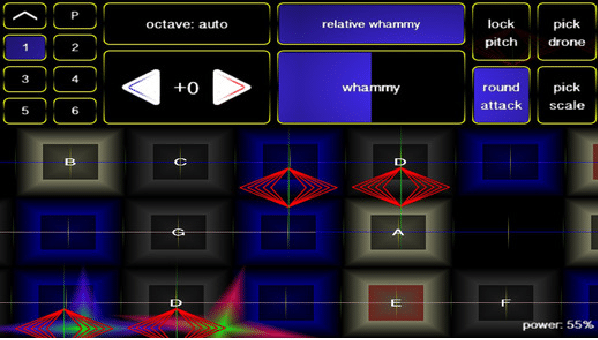 Overdub is a multi track sound recorder and sequencer. 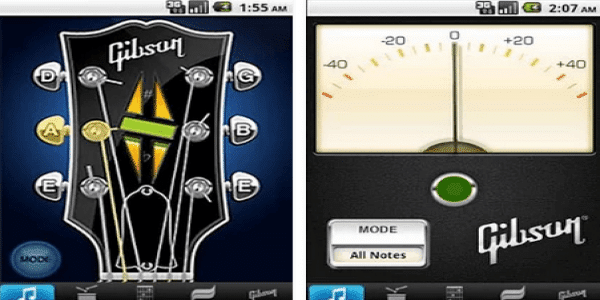 Use the microphone on your iPod/iPhone/iPad to record and layer guitar, drums, bass and vocals etc. 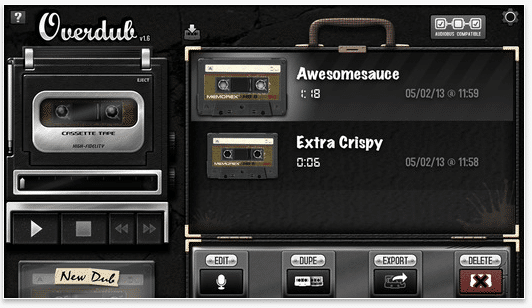 Overdub can also be used for adding commentary on top of a recording, or editing a recorded interview on the go. Obviously the best recording APP out there with regards to ease of use, interface, capability and just plain editing quality. Nothing else compares. Be sure to back your music up though as glitch while importing song from ITunes froze the APP and now won’t open without crashing. Any advice on how to avoid losing over 4GB of recordings would be much appreciated!!! This is a super handy audio recorder to capture your guitar ideas on the fly. It supports multitasking and will record while using other apps. This app has some string credentials too. 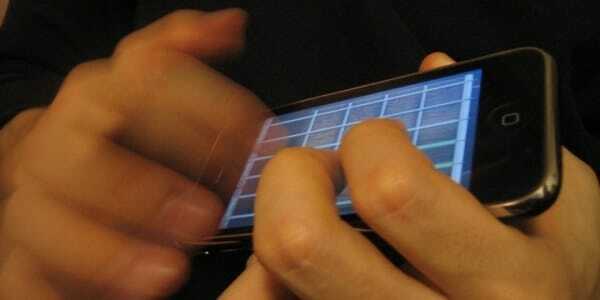 It was featured in Engadget, Gizmodo’s Essential iPad Apps and Apple’s “What’s Hot” list. You can record unlimited, high quality audio with Voice Memos for iPad using the built-in microphone, your headset, or an external mic and voice Memos can even continue to record while you’re using other apps. 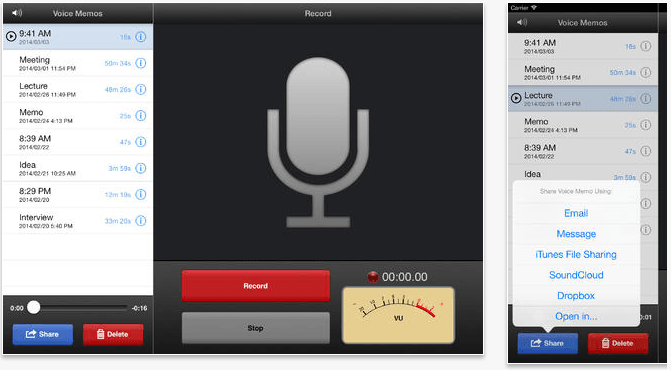 You can also share, export and email your recording. It supports iTunes File Sharing and you can share it to SoundCloud (Facebook, Twitter, Tumblr, Foursquare) and Dropbox. 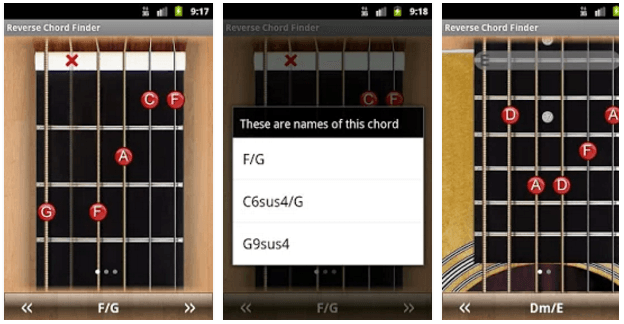 This is a handy app started out as a catalogue for your sounds and recordings (guitar ideas!) which also let you directly upload them privately to Soundcloud. 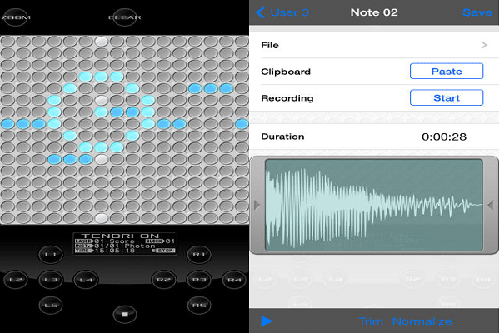 It’s since been updated and is now also a fully featured sound recorder and gesture based audio editor compatible with a range of other audio apps. 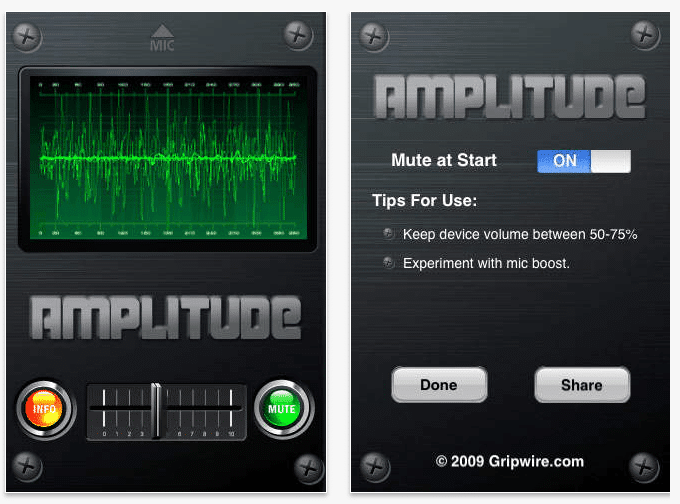 It’s free, and includes a powerful audio editor. An essential tool for music makers. 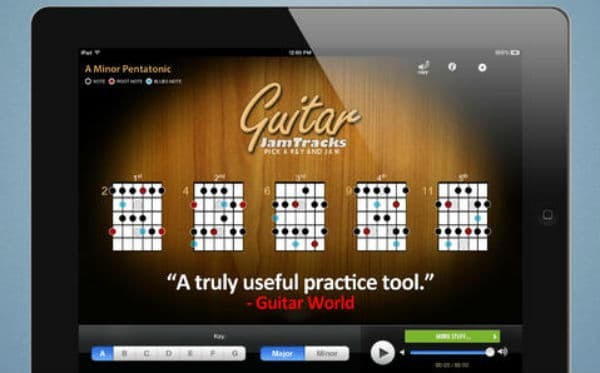 JamPlay features video guitar lessons to help develop your playing. 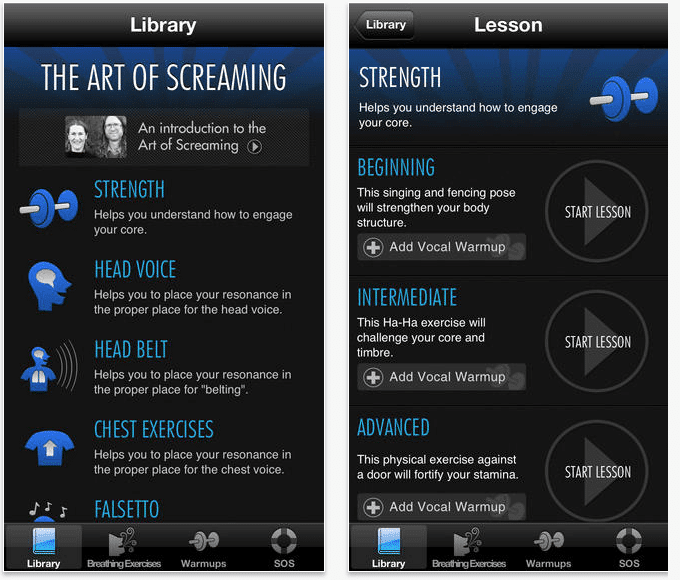 It has a variety of lessons for beginner, intermediate and advanced players and features songs from a range of genres from heavy metal to country taught by 74 different professional instructors. 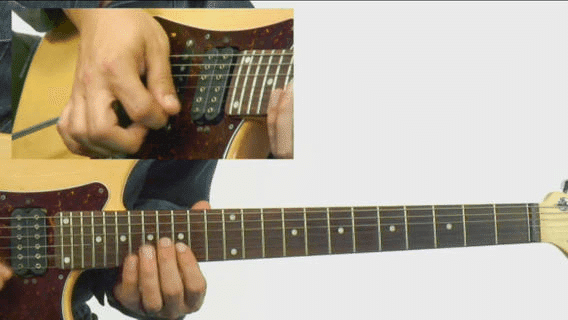 The guitar lessons are clear, well presented and filmed with multiple HD cameras so you can see clearly what the instructor is doing with both of their hands. 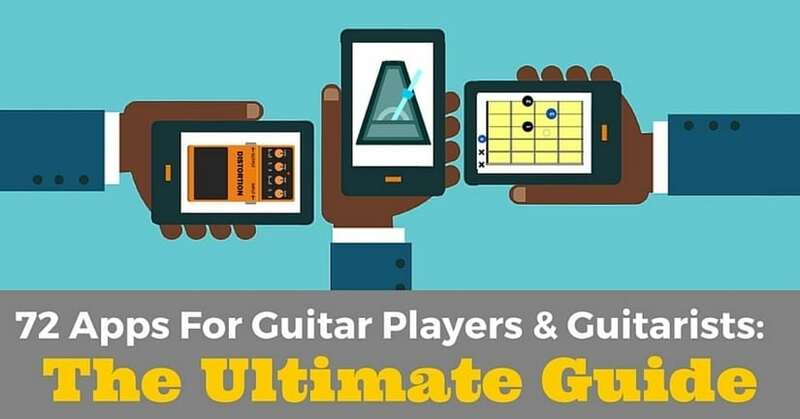 Created by Guitar Jamz, the Beginner Guitar Song app uses easy to follow video lessons to help you to learn the basics of playing guitar including important guitar chords for beginners, how to strum them and easy songs to get started playing. 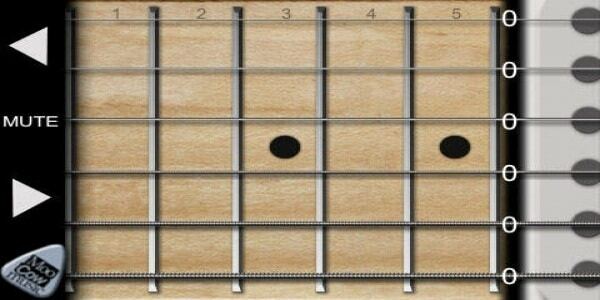 Lick of the Day is an app for guitar players who want to continuously improve their repertoire of licks. 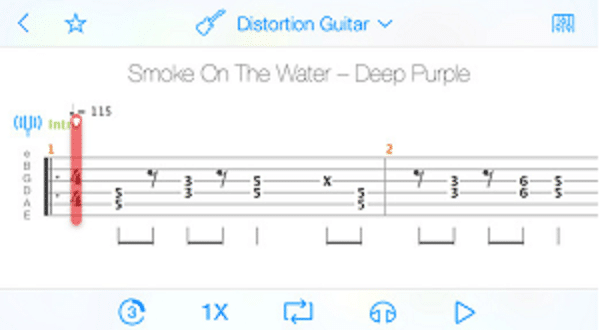 It combines video lessons from guitar instructors with matching interactive tab, notation, text explanations and backing tracks. Also, there’s a quick link to Gibson’s website, where you can keep up to date on industry news or check out their Les Pauls, SGs and 335s. 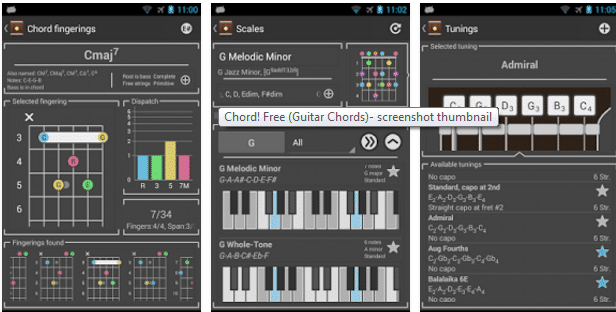 Everything you need to play guitar I started learning guitar with this app just over a week ago. I went from nothing to making vast improvements and I’ve only watched four lessons. 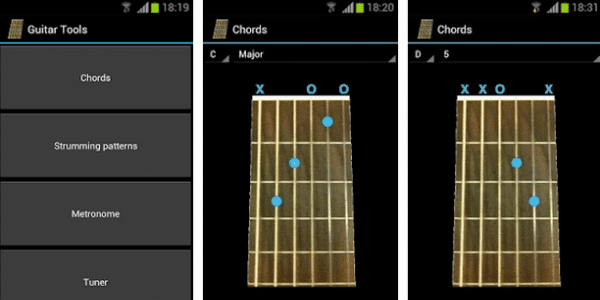 This app will help you learn the fretboard while away from your instrument. 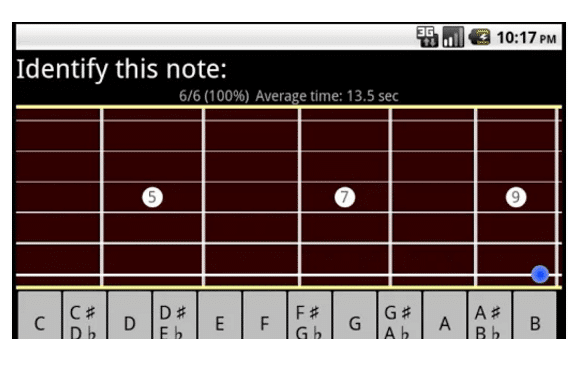 It works by repeatedly prompting the user to find and identify notes on the guitar fretboard. 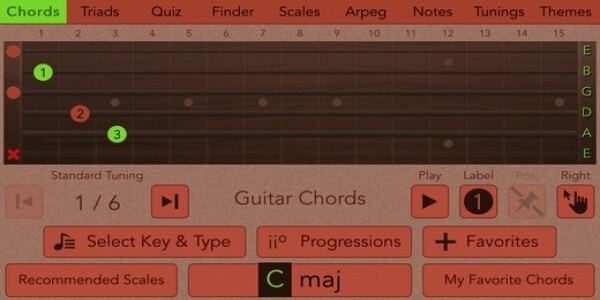 Features include: Customisable game profiles, Right and Left handed fretboard, Standard 6 string guitar, or any number of strings 4 (bass) up to 10 strings, sound (optional) customisable alternate tunings, full screen or scrollable fretboard, statistics tracking and automatic game creation using your individual trouble spots.